Thanks to a partnership between Lower Macungie Fire Department, Bucks County Community College Public Safety Training Center, Allentown Fire Dept. Training Center, Emmaus Training Center, and local fire service instructors. 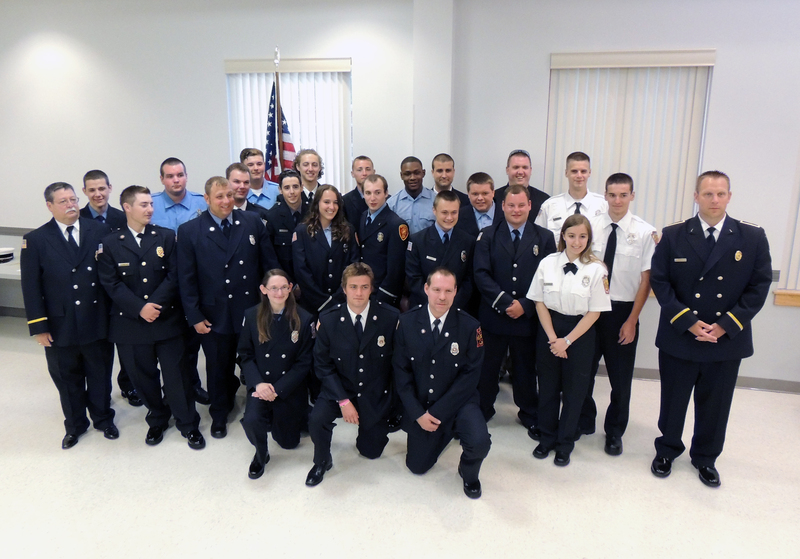 These 2016 graduates are the 6th group of firefighters to attend Fire Academy in the Lehigh Valley thanks to this partnership. Before this, arrangement volunteer firefighters had to travel out of the county to attend fire academy. The reduction in travel time required has made it easier for local fire departments to get new members the important training they need to be valuable assists to their communities. The 190-hour program comprises of Basic Fire Academy, Hazmat Awareness Training and National Certification Testing, Basic First Aid, Healthcare Provider, Hazmat Operational Level Training and National Certification Testing, Structural Burn Session, Firefighter 1 National Certification Testing.